If we’re going to limit climate change this century, we need to electrify everything. That includes air travel, a large and growing source of some of the most potent greenhouse gas emissions. Yes, high-speed rail could displace some flights, but for longer journeys, travelers will clearly still have to take to the skies. Which means we’re going to need electric airplanes. And while it might sound far-fetched, we may actually have a path to them. Norway was optimistic enough to announce last year that the country wants all domestic flights to be electric by 2040. That’s why a recent announcement by a small airline in the Pacific Northwest was so significant. Harbour Air, based in Vancouver, announced in March that it is aiming to operate an all-electric fleet. Harbour Air currently operates 42 seaplanes, or float planes, across 12 routes. The company is now retrofitting some of its existing aircraft with a battery-electric propulsion system from magniX, an electric drivetrain manufacturer. 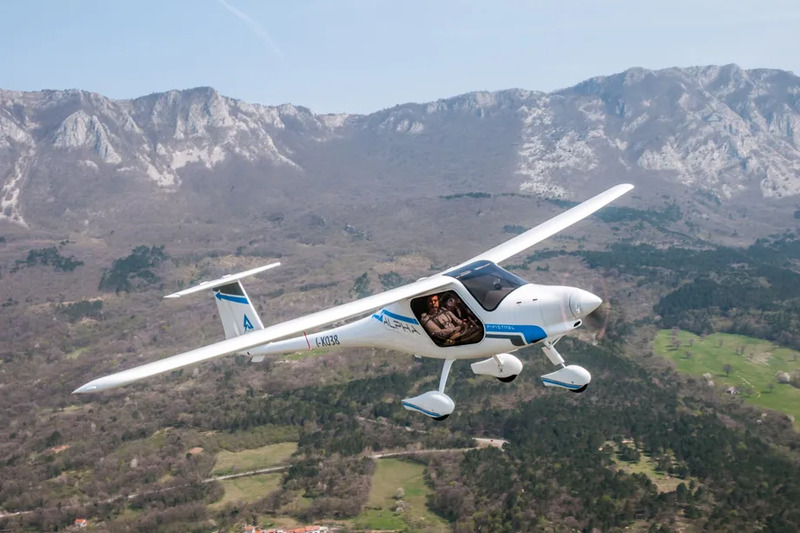 Test flights of these retrofitted planes are scheduled for later this year, and the company expects the first commercial electric flights to take off in 2022. The company is a small player in the expansive global airline industry, but it’s at the vanguard of a charge toward electrifying aviation, major technical challenge that has engineers around the world excited. “I believe it’s one of the hottest topics at the moment in aircraft engineering,” said Andreas Schäfer, a professor of energy and transport at University College London. It may still be a few decades before buzzing motors will replace the roar of jet engines in the skies completely. We’ll need much more powerful and cheap batteries, and we likely won’t get them until the middle of the century. But when we do, electrification will radically change the design of aircraft and likely the business of aviation altogether while shrinking the environmental footprint of air travel. Air travel remains one of the most difficult challenges for climate change. Aviation is responsible for 2 percent of the world’s carbon dioxide emissions. And nitrogen oxides and particulates spewed by aircraft at cruising altitudes also have a warming effect. According to the Air Transport Action Group, an industry association, aviation contributes $2.7 trillion to the global economy and supports 63 million jobs. And as the global economy keeps growing, aviation’s contribution to climate change will rise. By the middle of the century, demand for flying could increase aviation sector greenhouse gas emissions by upward of 700 percent compared to 2005 levels, according to theInternational Civil Aviation Organization. This linkage between air travel, the economy, and emissions is a key reason US greenhouse gas emissions rose last year after years of decline. This looming surge in flying makes it critical to decarbonize aviation, though there are no binding emission caps for aviation in the Paris climate agreement. Most of the low-hanging fruit airline companies can tackle — fuel efficiency, better aerodynamics, improved route mapping — have been picked. Fuel is the single largest expense for most airlines, so they already have a strong incentive to use it judiciously. What options are left? Some airlines are experimenting with biofuels, which in theory could be carbon-neutral. However, biofuels are still struggling with costs and scale. The other major strategy is electrification. Where do electric aircraft stand now? As with electric cars, electric aircraft have the potential for emissions-free travel. They also unlock a whole new suite of airplane design and even new business models for air transport. Some critical engineering challenges remain, but researchers, and some in the industry, do expect electric planes to take off. We’ve already seen electric aircraft pull off some impressive feats. In 2016, the Solar Impulse 2 aircraft completed an around-the-world journey powered only by sunlight. Granted, the aircraft cost $170 million, carried only one passenger, and topped out around 45 miles per hour, but it showed what’s possible. Recall that the time between the Wright brothers’ first 120-foot flight and John Alcock and Arthur Brown’s first nonstop trans-Atlantic flight was just 16 years. In fact, there are already production electric aircraft like Pipistrel’s Alpha Electro, a two-seat trainer. Harbour Air is currently installing an electric drivetrain as a replacement for a conventional piston motor in a six-passenger de Havilland Canada DHC-2 Beaver. Part of the reason the company thinks it can pull off electrification is that all of its flights are less than 30 minutes, so current battery technology isn’t a major limiting factor. And according to magniX, the company supplying the propulsion, it saves the company a huge amount of money. A conventional motor costs between $300 and $450 per operating hour. The electric drivetrain from magniX cost $12.